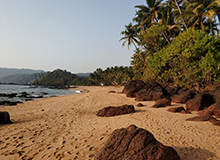 Baga is a renowned seaside town in the Bardez taluka of Goa. If you are traveling to Baga, there are a number of Baga budget hotels that you can check out. Some of the hotels near Baga that offer comfortable accommodation include FabHotel La Flamingo Calangute, FabHotel The King’s Court Calangute and FabHotel All Seasons Calangute Beach. 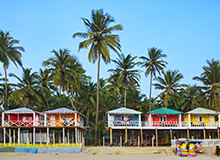 You can also go for hotels in Ashwem like FabHotel Ashvem Beach Resort and FabHotel Tahira Ashwem Beachfront to stay near Baga. Baga is a vacationers’ paradise. It is one of the most beautiful seaside towns in the country. 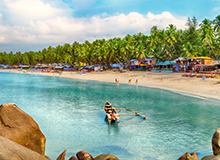 Baga is named after a creek, which flows through this small town and meets the Arabian Sea. 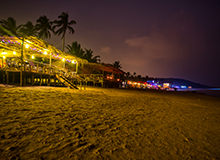 The town’s greatest attraction, Baga Beach is visited by thousands of enthusiastic tourists on an annual basis. This is one of the topmost draws in Goa owing to its clear water, beautiful evenings and cool mornings. 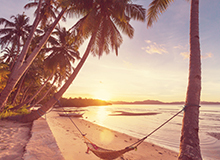 You can rejuvenate on the sandy shore by sitting under a palm tree, going for a swim or sipping exotic cocktails. 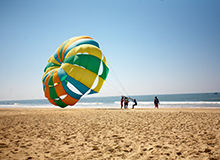 For those seeking adventure, there are facilities for several watersports, such as parasailing. If you are a shopaholic, then you will instantly fall in love with this place. Shops in Baga sell suits and dresses at unbelievably low prices. There are leather stores that offer stylish jackets. One place you should definitely visit is Mackie’s Saturday Night Bazaar, where you can bargain to get great deals on a variety of products. The popular Anjuna Flea Market is hosted nearby, and you can come here on Wednesdays to purchase knick-knacks and colorful Goan handicrafts. 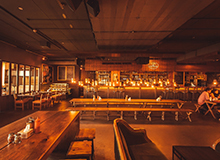 There are a large number of eateries in this locality, offering budget meals as well as lavish feasts. 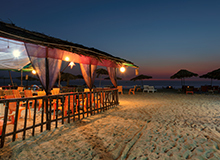 Some places you should definitely dine at are Lario’s Beach Shack, Fiesta, Brito’s, Redonda and Café Lazydays. 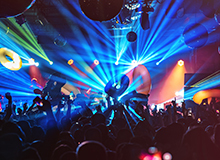 Tito’s Nightclub or Club Cubana can be visited to share a few drinks and make merry after sunset. The best way to reach Baga from Goa International airport, which is situated approximately 42.6 km away, is taking a bus or taxi. Thivim Railway Station is 19.9 km away, while Karmali Railway Station is 26.6 km from Baga. From Karmali, you can take a train to all major cities and towns, including Mumbai. 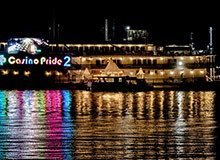 There are a large number of hotels in Mumbai, such as FabHotel Ashir Inn Marol and FabHotel Elite 59 Andheri East. "It was really a nice stay with this hotel and staff is so compromising and good...Helpful in every aspect....Nice stay and comfortable...Compromising staff"
"Overall stay was very Good hotel is near to beach you can see fort chopra also from their hotele staff is very good"
"Sandeep is a vary nice guy he is provide very good services thanks Sandeep you done great job"
"Over all experience is good and food tastes better!! And especially Mr. Pankaj's Hospitality is great."